The web evolves constantly, round-the-clock. And Search engine marketing is an ongoing process. In order to create new ideas to help spread your brand exposure, you should reserve some time each week for reading the market, viewing the competition, understanding customer intent and analysing new information. If you are stagnant, chances are that you are falling behind. Web analytics tools have transformed itself over the years from pleasant add-on analytics software to a must have analytics software. A means to measure business objectives, reports and improvisations, these tools go way beyond tracking a sales funnel. Here when we talk about segmenting your traffic data in order to have a better understanding, we are only referring to the Advanced Segments Tool from Google Analytics. Why is this important? Because this is an incredibly powerful segmentation tool that we can use to identify which segments of our traffic are performing and which are not. 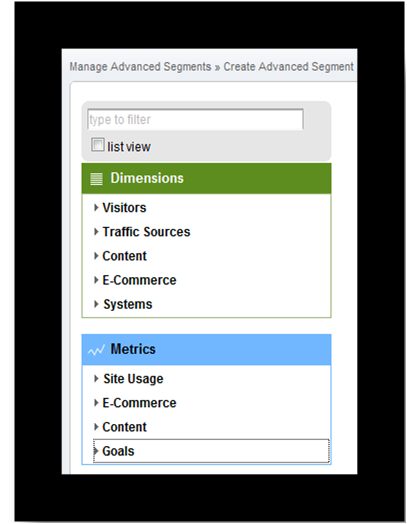 Google Analytics offers many different ways to segment data. Each has its pros and cons but there is always a way to get the data you need, well, almost always. 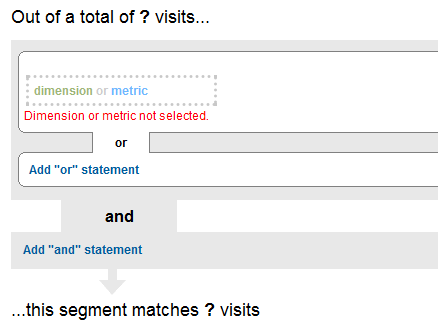 The concept here is that you choose the location dimension that you want to segment by, specify a value for that dimension or metric, and then create a relationship between the two. To quote an instance, we were working for a website who was selling services to Canadian people exclusively. When we started, they were driving exclusive organic traffic, and the overall landing page conversion rate was as good as expected. When we started to segment the data by location and checked Canada conversion rate against overall conversion rate – it turned out to be quite insightful. The Canadian conversion rate was more than decent; in fact the overall conversion rate seemed low due to the mass traffic coming from other locations. Unfortunately for which we had nothing to offer. This could have led to a wrong business decision. The solution was to drive more Canadian traffic and sort some SEO problem in fact. Adwords is probably the most plain ad network, and you can easily see which keyword converts, which one does not. It is very important to determine the best course of action i.e. if you are running PPC campaigns; you can shift spending from low-performers to high performing keywords. Or you can update the home page of your site to push the best-performing keywords more strongly. Advanced segmentation further helps to monitor the progress of individual keywords and see how your optimization efforts are paying off. You can have a permanently defined segment for all of your GA data that is organized around your chosen keyword. And, by using the Segmentation drop-down, it is possible to view data through the segmentation filter you have created. Say, the content on a website is about appliances. To track the content by two categories only: home appliances and garden appliances, we could create two advanced segments in Google Analytics, and categorize them by its URL address. The idea here is to put pages into groups of related content. Collect these pages together on one page and treat them as a single entity. To do so you can specify the URLs that you want to include by defining the url patterns and then create a filter for each group. Each filter in GA will search for the group identifier and replace the entire url with a new url. Now we have created content groups that allow us look at all pages for any brand appliance as a single entity. We can now study the links where people exit, the entrance keywords, the entrance sources, other pages they visit on the site, and more. For each site there is a different goal and that goal requires the site owner to look at a unique set of metrics. Segmentation is a great resource to indicate the KPI’s and where the owner may look to minimize its expenses.